The study mission is organised to expose participants to best practices in LEAN in the manufacturing sector in Japan, which is the Lean Specialist of the world! Lean is imbued in the culture of Japan and permeates every aspect of daily life, not only at the workplace. Participation fee is 50% claimable from HRDF SBL Scheme. 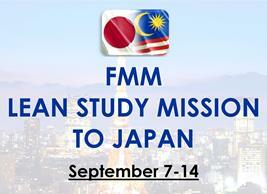 Join FMM’s FOURTH LEAN Management Study Mission to Japan! Participants from the last three missions have been amazed and inspired by the hands-on, onsite experience of LEAN practices in Japan, which is the LEAN Specialist of the world. Positive feedback was received from the study mission, particularly on the innovative ideas which they had picked up and intended to implement in their factories. 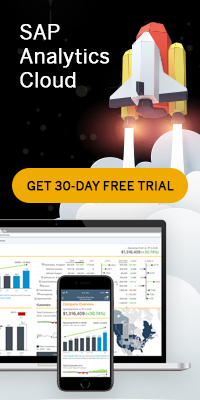 A LEAN Management System “enables the production and delivery of the right amount of high quality products and service at the right time at the first time while minimising waste” (Taiichi Ohno, father of Toyota Production System). Factory visits to manufacturers of automobiles, electrical & electronics products, furniture, i.e. Toyota Motors, DENSO, Honda Motors, Mitsubishi Electric and a few more. The estimated cost covering airfare, accommodation, meals, local transport, consultant and administration fee is RM19,500, which is 50% claimable from HRDF under SBL Public Programme. Full details of programme are attached. Kindly complete and return the registration form to FMM by August 2, 2019 to confirm interest to participate in the study mission. For further information, please contact Ms Jess Chong / Ms Sandy at Tel: 03-62867200,Fax: 03-62741266/7288 or e-mail: jess@fmm.org.my / sandy@fmm.org.my.